With his Ball Chair design as a foundation, Eero Aarnio was keen to brighten up his idea a little and get more light into the design. The idea of a transparent ball came to mind, letting light penetrate from all angles. Back in the 60s, acrylic was used to make lamp shades. The material was heated and puffed up like a soap bubble. 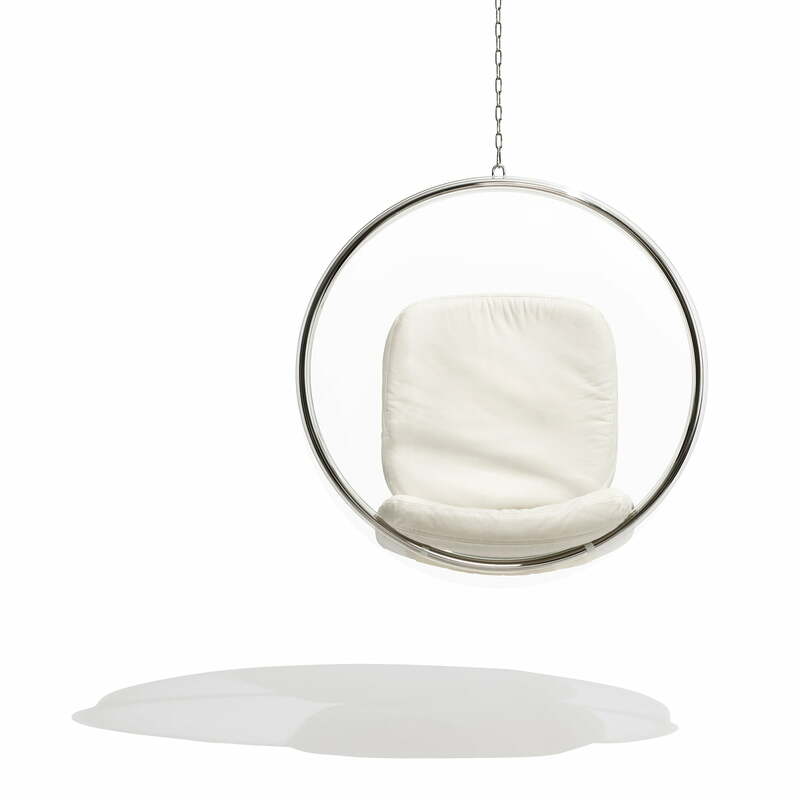 Eero then contacted a manufacturer who used this technique and asked him whether it would be possible to transform a giant bubble into a hanging chair. He said yes, and so the Bubble chair was born. The acoustic properties of the Bubble chair are an experience in themselves. Its circular shape reinforces the quiet noises inside and even keeps out the hustle and bustle in heavily crowded places. The result is a unique feeling of peace and serenity, a few minutes of absolute relaxation in the midst of everyday life. 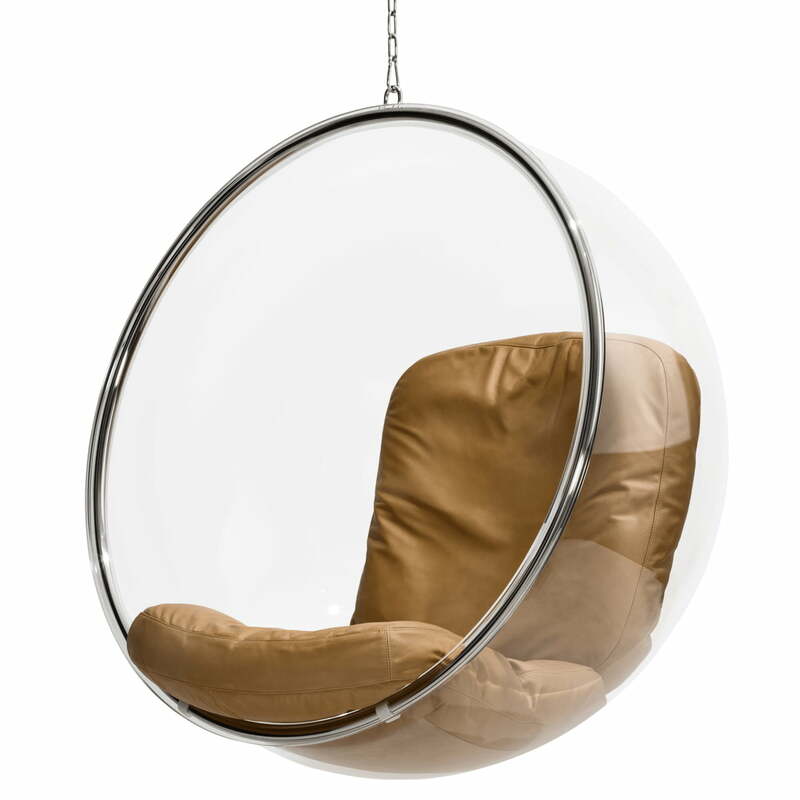 The Bubble chair is made from acrylic glass with a border made of stainless steel. The polyurethane foam cushions that are covered with leather in different colors provide comfort. Fixing material (chain and hook) is not included in the delivery! The Bubble chair can be hung as desired. The bubble Chair is made from acrylic glass with a border made of stainless steel. The polyurethane foam cushions that are covered with leather in different colors provide comfort. 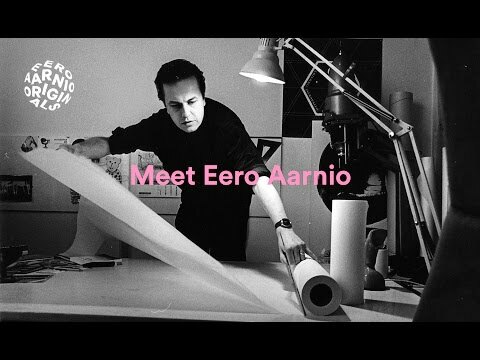 With his Ball Chair design as a foundation, Eero Aarnio was keen to brighten up his idea a little and get more light into the design. The Bubble chair was created. The acoustic properties of the Bubble Chair are an experience in itself. Its circular shape reinforces the quiet noises inside and even keeps out the hustle and bustle in heavily crowded places The result is a unique feeling of peace and serenity, a few minutes of absolute relaxation in the midst of everyday noise.